This English bitter by way of Chicago is Goose Island's tip-of-the-hat to this classic beer style. 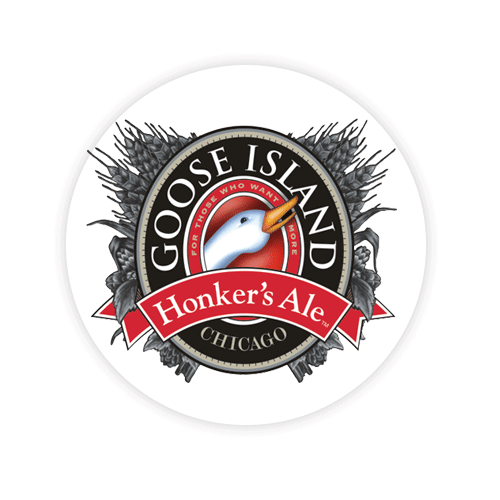 A crystal clear amber with some effervescent bubbles, the Honker's ale's first impression is that of mild English hops aromas, sweet malts and an earthy yeastiness. Perfectly balanced, the floral and spicy hop notes wrap a big bow around the sweet caramel and biscuity malts. Lingering earthy hops are complemented by a decent carbonation. With a creamy body and a moderately dry finish, this beer is still complex enough to be interesting yet is fantastically sessionable.